The idea of cooking bacon sous vide initially made me roll my eyes a little. This has got to be one of those "everything looks like a nail when you've got a hammer" situations, I said to myself. You know, one of those times when sous vide was being deployed just for the sake of sous vide, rather than actually improving things. I mean, is it possible to improve on plain old fried bacon? 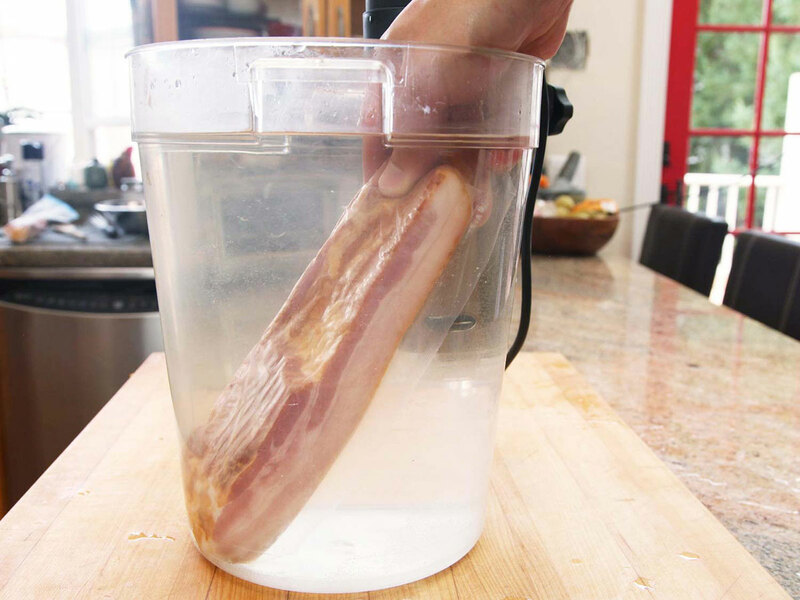 What could possibly be the point of cooking bacon in a water bath? Still, I decided to give it a spin...Holy cow, was it good! I mean, really really good. The idea of bacon that is crisp and moist at the same time is appealing, but in practice it ends up being crisp in some areas and rubbery in others, which is why I generally prefer my bacon cooked completely crisp. But overnight sous vide bacon is the first bacon I've ever tasted that delivers on that moist-crisp promise. It's crispy on the exterior as you bite into it, but it quite literally melts in your mouth like the finest confit pork belly as you chew. 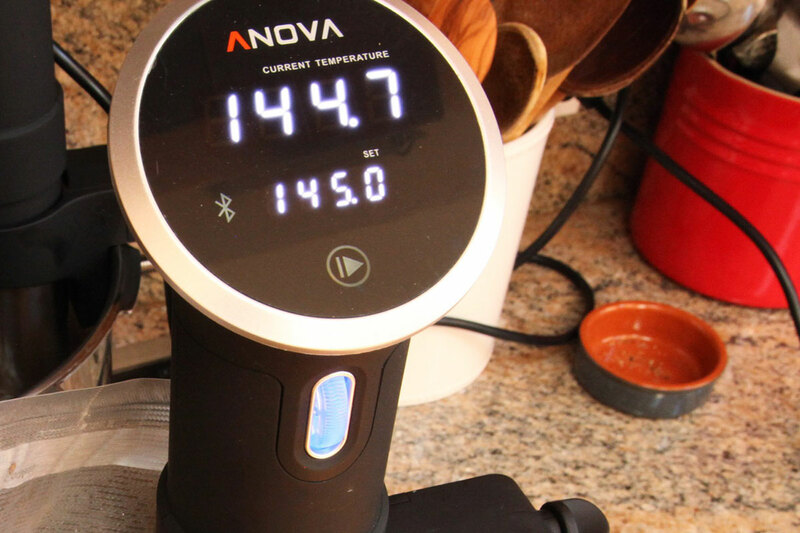 Set your Precision Cooker to 145ºF / 62.8ºC. 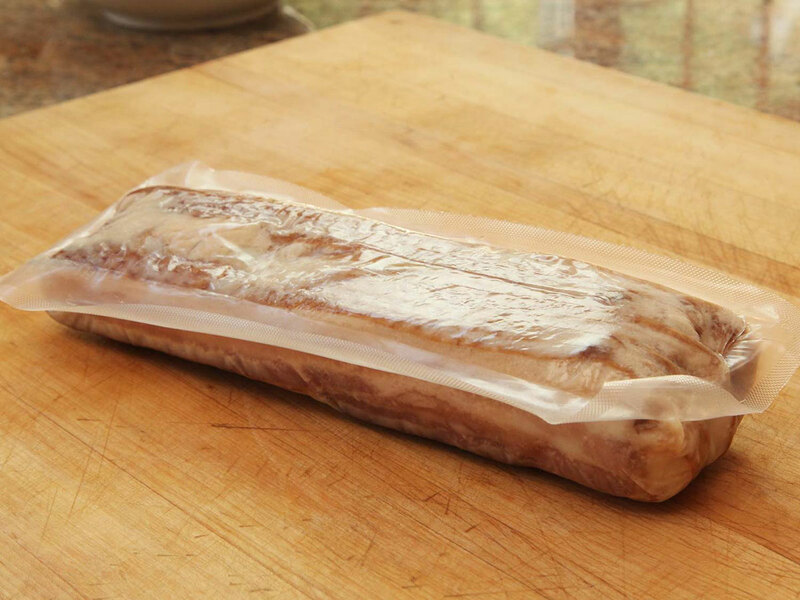 Seal thick-cut bacon in vacuum or zipper-lock bags. 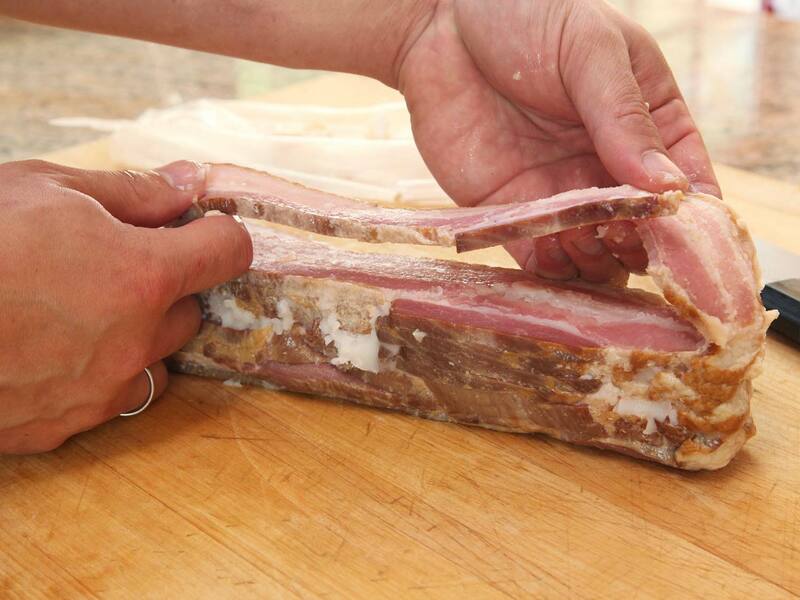 Cook bacon at least overnight and up to 8 days. 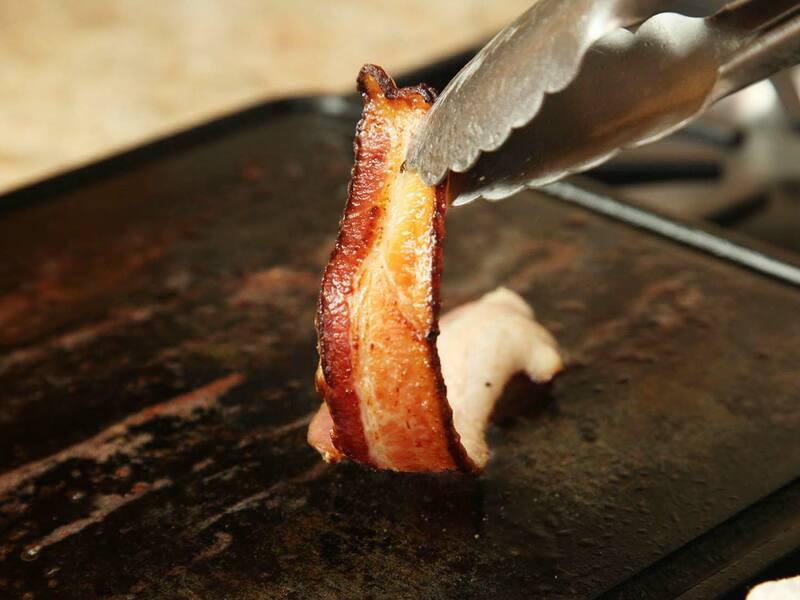 Cooked bacon can seared immediately, or stored in the refrigerator for up to a week or frozen for several months. If refrigerated, continue directly with Step 4. If frozen, defrost overnight in the refrigerator or for 20 minutes in a 145°F / 62.8ºC water bath before continuing. 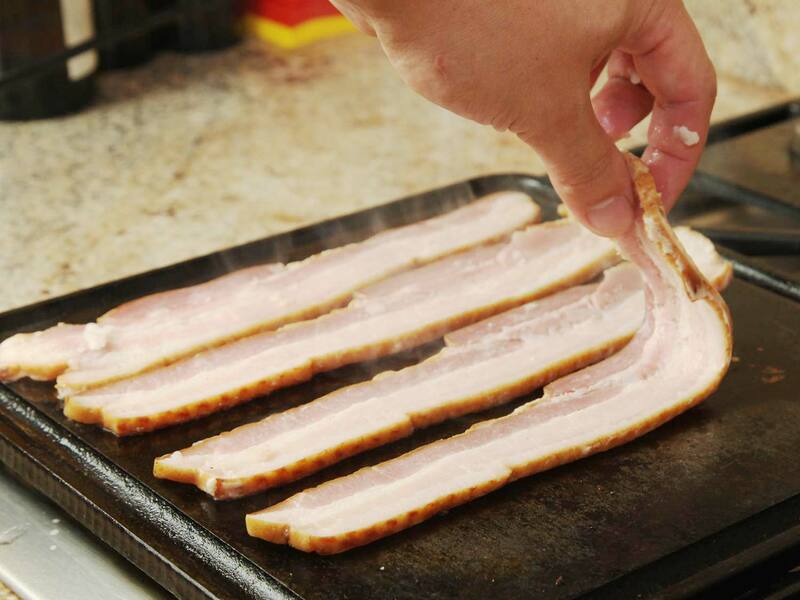 Separate the bacon into individual strips. 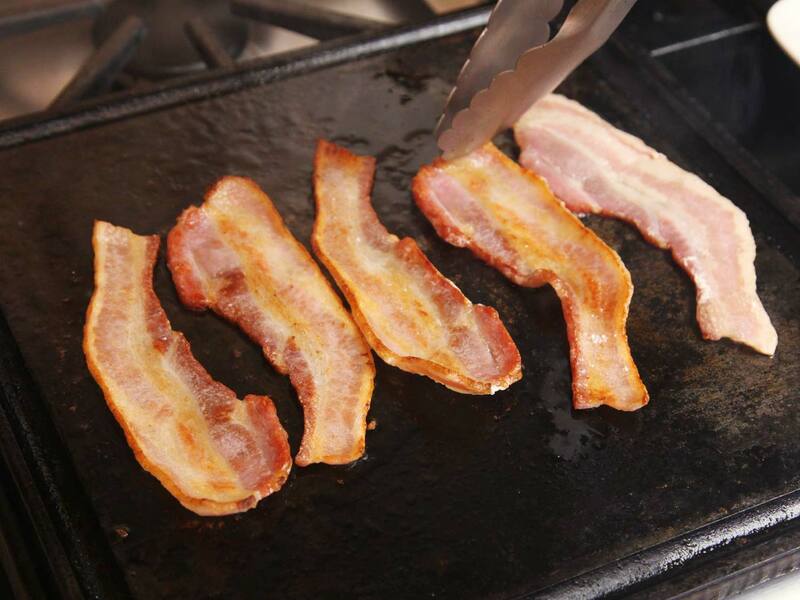 Preheat a skillet or griddle over medium-high heat for five minutes, then add bacon strips to the griddle. Cook on one side only until bacon is crisp, about 2 minutes. Flip bacon and cook briefly on second side, about 15 seconds. Transfer to a paper towel-lined plate to remove excess fat.